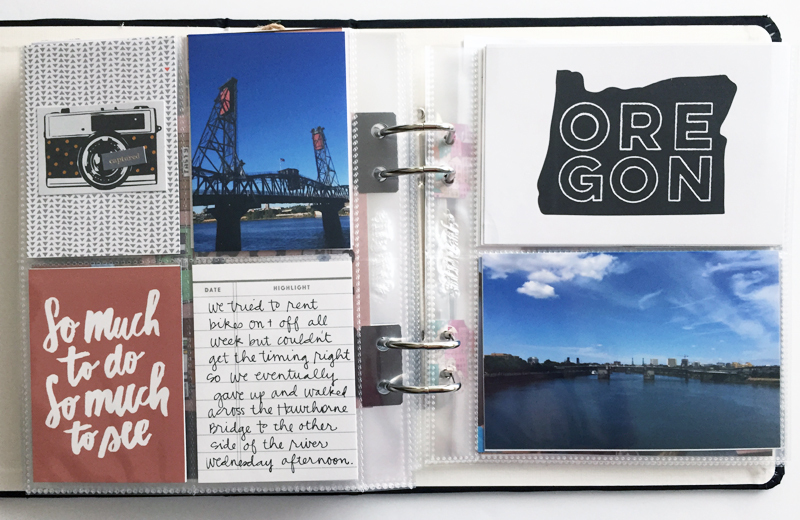 Last July, my sister and I took an awesome girls trip to Portland, Oregon. 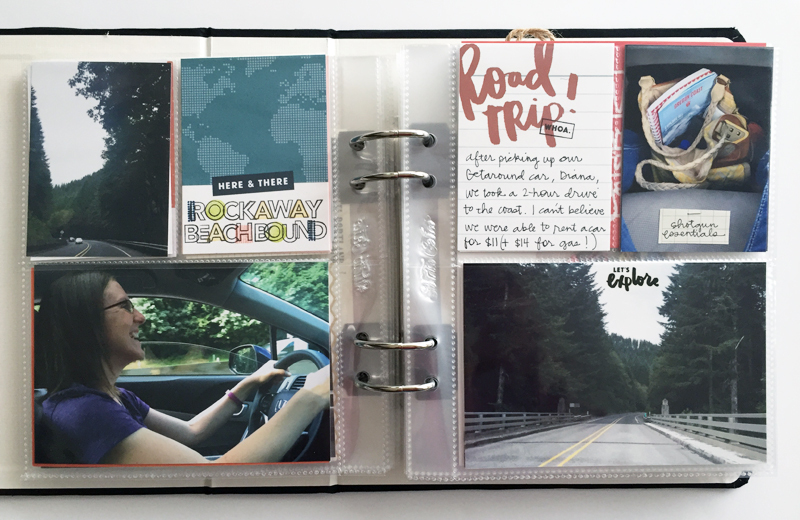 For months I had my photos and travel memorabilia stashed away, but eventually came up with a plan to get it done - and finally, share it here. I actually pulled together product I had in my stash before we even left because I was that excited about preparing this album. 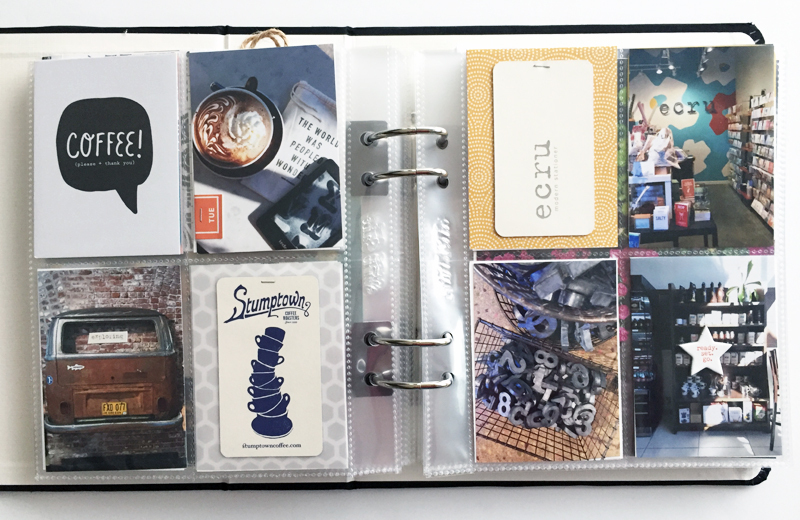 I had a black Studio Calico 6x8 Handbook on hand, plus a ton of page protectors, and I began by pulling out all of the travel related journaling cards I had, then filled in with generic cards with coordinating or neutral colors and patterns. You can get a glimpse of what I choose on the left, below. Next, I went through all of my loose embellishments, then stickers (including alphabets), then stamps, to round out a little kit for myself to use. I always grab more than I'm probably going to use, but it keeps me focused because I'm restricted to use just what I've curated, and stay out of my general stash. I usually print from home, but for a big project like this, I sent my photos to Persnickety Prints. I love that they have a big selection of print sizes and finishes to choose from, and their quality and customer service can't be beat. Then, it was assembly time! For an album like this, I almost always start with photo placement first. 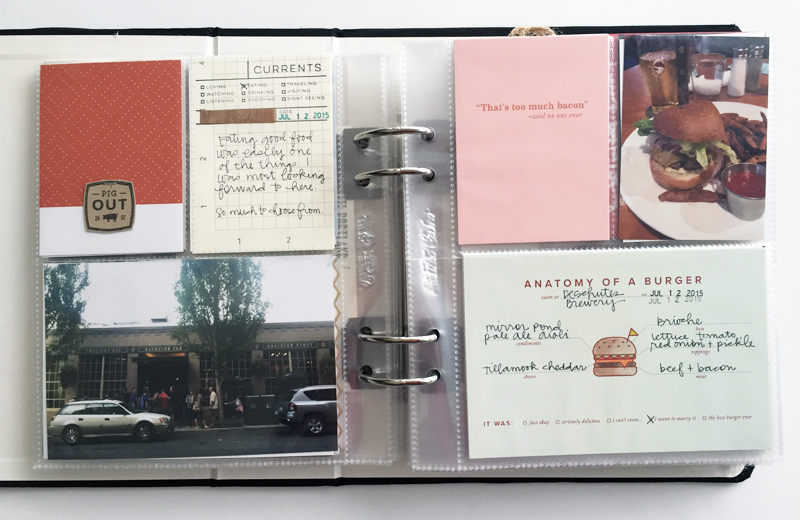 I looked at my daily notes and divided my photos into days, then topic, place or event. 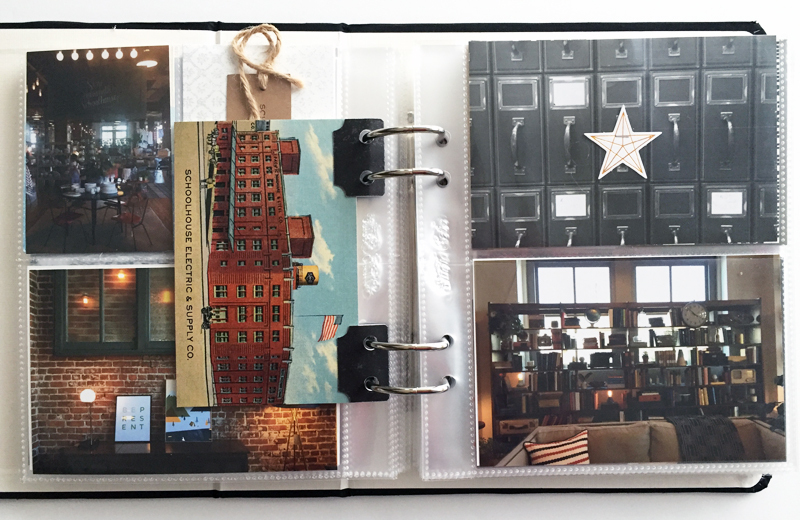 I began filling the page protectors with photos only, one spread at a time, and slipping them in the album. 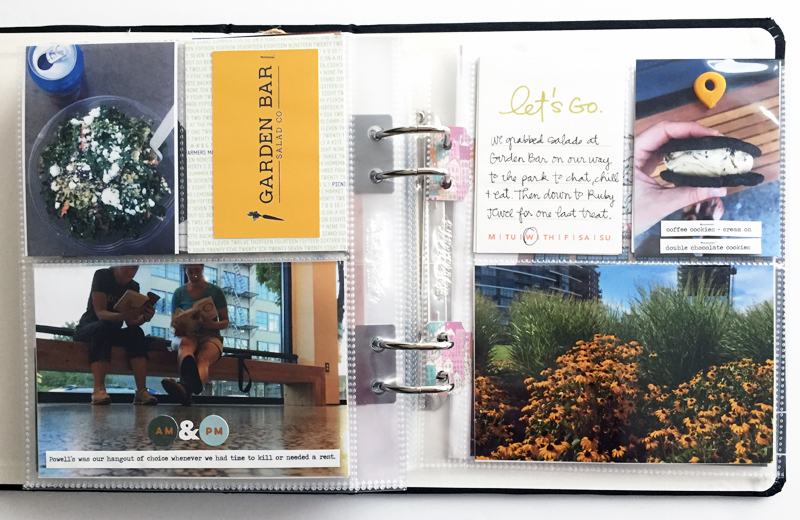 There is always a lot of flipping back and forth here, trying to make the best arrangement, but that's what I love about page protectors. If something isn't working, you can change it, move / remove it, or cut it up to make it work. Next, starting back at the beginning of the album, I began filling in with memorabilia. Business cards, transportation tickets, postcards and the like. Then I filled any empty pockets with journaling cards - both for writing on, and filler. Lots of flipping back and forth again, making sure each spread is balanced-ish. 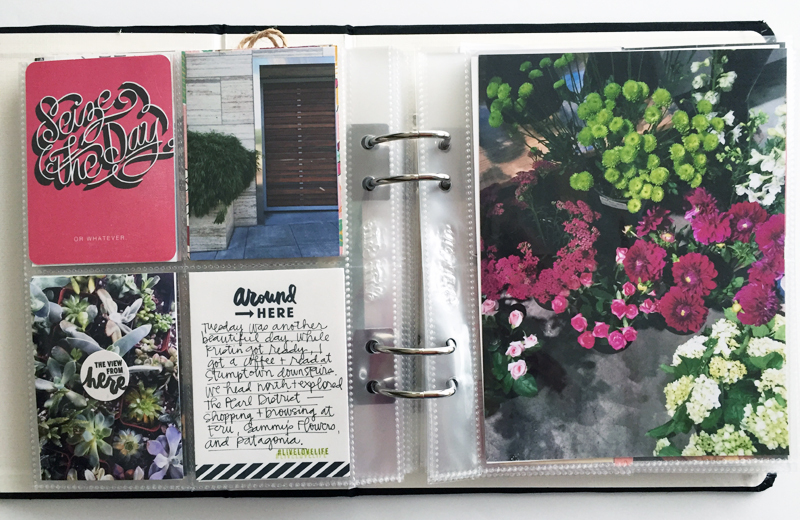 Finally, I added my journaling (both handwritten and typed) and embellishments. Here is my completed album! Click on any of the photos below to enlarge and use the side arrows to flip through the pages. 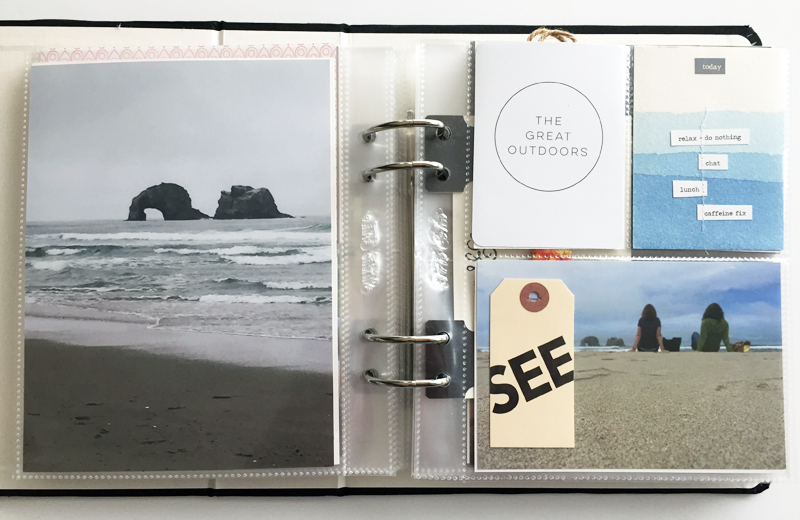 For inspiration on my own album and travels, I loved + highly recommend Kelly Purkey's Destination Documented Portland workshop + Jamaica's Explore Mini Book class. Thanks so much for looking! If you have any questions, from product to process, please feel free to ask in the comments.